Does a pickup truck define your driving style? Do you need best tonneau cover? You chose a pickup because it lets you do your work with great ease and lets you do it in style. Whenever you decide to upgrade the looks of your truck and want to secure your goods on the go, Tonneau covers are the best bet. However, with hundreds of products available online, confusion is bound to prevail. To help you with choosing the top Tonneau covers, we have shortlisted the best covers available in the market for your pickup. Leading the pack is the three-decade-old innovation-driven company MaxMate. If durability and quality are what you are looking for, MaxMate is the name to go by. 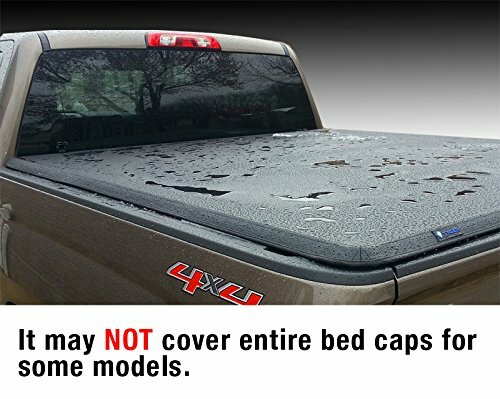 Featured amongst the Best Tonneau Covers, this Tri-fold bed cover is made of dual coated 24 oz marine grade vinyl which is tear resistant. Moreover, it comes equipped with aluminum powder coated frames for a heavy duty performance. The durability of this 6.5-foot MaxMate product is ensured by stainless steel clamps which are super easy to install as no drilling is required at all. In fact, pre-assembled horizontal crossbars make it convenient to fold up with cover providing full bed access. Easy on your pocket, truck bed covers by MaxMate are very helpful in saving whopping 12 percent gasoline and in turn your hard earned money. As far as the safety of your cargo is concerned, that is guaranteed by this soft yet strong cover including its ability to be removed in seconds for oversized cargo. You can just fold it forward and secure place for smaller loads. Although, it is a very trustworthy company for bed covers, poorly made clamps, and weather stripping are sometimes of lower quality and create problems. 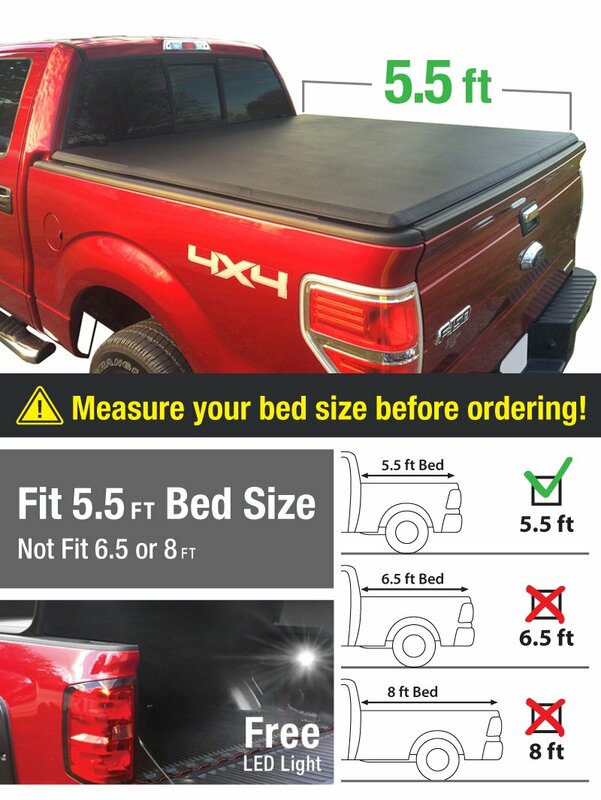 A value for money bed cover for your truck. You can expect a convenient installation and removal and what’s more, it comes with a 10-year limited warranty. Are long trails and adventure tours essential part of your life? Then you must have a rough yet durable companion along like this Bestop premium product. One of the most recommended products among its counterparts, this heavy duty cover is built with six decades of experience from Bestop. The Unique Selling Proposition of this Tonneau is that it is one of the quickest to install, remove and fold up for bed access. This saves you from the hassle of step by step installation and removal. The heavy-duty OEM quality clamps of this three panel cover secure or release with one hand operation. Moreover, UV resistant vinyl used in this cover is leather grained and textured suitable for an all-weather operation. One of the top Tonneau Covers, it ensures additional strength and stability through reinforced corner construction. EZ Fold Tonneau, the patented technology of Bestop has three-panel design integrated with buckle straps to secure the cover to the truck bed. The best part of this cover pack is that its frame and latching system is fully combined with fabric in a quick stack folding design. What’s more, it comes with a lifetime limited warranty. 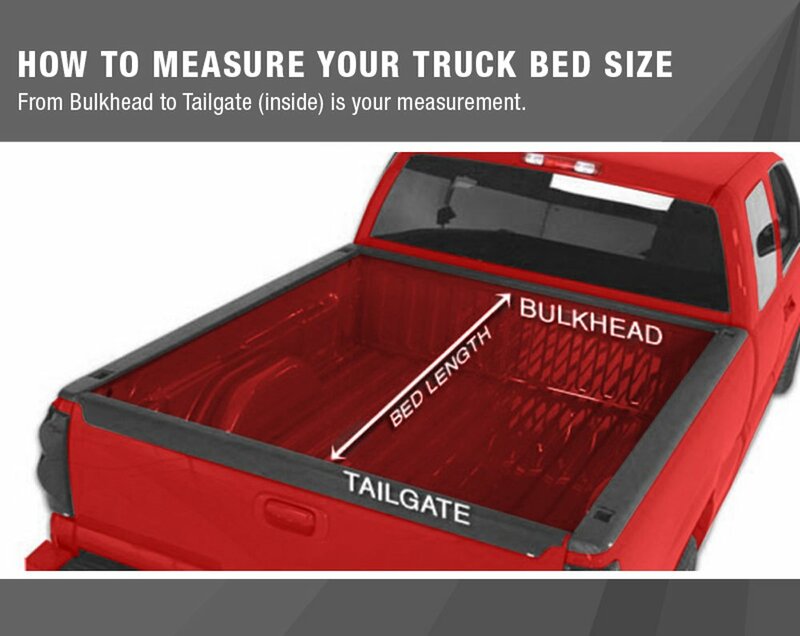 Although known for quality and durability, it is not a real snug fit in front for bed liners. One of the most recommended products around, Bestop is synonymous with quality and ease. Not to mention, it is one of the fastest to install and remove. If you are on a lookout for an affordable yet quality truck bed cover for your pickup, you can trust Tonno for that. Manufactured from a powder coated 6063 aluminum frame and patented slide lock design coupled with reinforced glass filled components, this Tonneau cover is one of the finest among its competitors. Tough as nails Tonno Tri folding Tonneau cover which is made of vinyl polyester fabric comes completely assembled and requires no drilling, making its installation a child’s play. You can quickly fold this cover for oversized cargo and lock it in place for smaller loads. While you are on the go, your cargo needs to be protected and kept dry. Tonno Pro’s weather –tite Q protection seal, front flap and coated stitching keep your cargo dry and safe along with watertight rubber seals. Moreover, this is one cover that is also suitable for extra short (5.5 foot) bed enables more options for you. Although its styling is low profile, these covers will look good on any truck. Surprisingly, you decide to go with Tonno Pro Trifolding cover; company bestows you with four free gifts viz a Tailgate seal, Tonno Torch detachable LED light, Vinyl cleaner for thorough cleaning of the cover and Pro Gloves to protect your hands while doing the dirty work. What’s more, you experience a gradual decrease in gas consumption by your vehicle so technically your pickup Tonneau cover pays for itself. Although known for its quality, the cover at times has been reported to fit loose on the bed. Moreover, improper fittings of clampdown were also reported sometimes. With this cover, you can have three things clubbed into one; Style- Quality- Warranty. Albeit some problems are reported by customers with this cover, it is still one of the top Tonneau Covers available in the market for your beloved pickup. MaxMate is considered an old horse in automotive accessories sector and known for its premium Tonneau covers. These 5.5 feet Tri-Fold truck cargo bed cover are made of 24 oz marine grade vinyl and comes loaded with heavy duty aluminum powder coated frames. MaxMate ensures greater durability and easy installation with stainless steel clamps. Whenever you require full bed access, it is ensured by pre-assembled crossbars for stronger support. 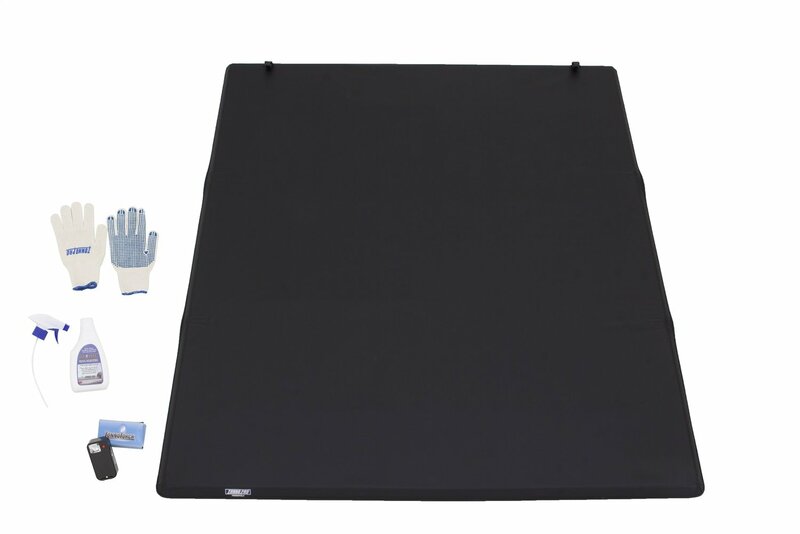 Hailed as one of Best Tonneau Covers, this unique product comes completely assembled which ensures no drilling is required for installation. This premium cover not only provides all-weather protection to the cargo but also gives a sleek and stylish look to your pickup. It even comes with latch pads so as to protect your truck bed from any damage. With this Trifold cover, you can easily adjust your cargo on the go. You can shift the cover for oversized cargo and fold forward for smaller cargos. One advantage that you’re going to love is it saves a lot of gasoline therefore technically this cover sponsor itself. Money saved is money earned. Although general drilling is not required, small holes are required for vehicles equipped with over the bed rail bed liner. There has to be no doubt in your mind while choosing this premium durable yet affordable pickup cover. Extang Trifecta is America’s best selling soft top Tonneau and lets you upgrade your pickup to a completely new look. Its Trifolding soft cover design is easy to install and require no assembly or tools. One of the premium features of Extang Trifecta is its exclusive ‘SpeedKlamps’. The patented technology ensures an easy access to truck bed and quickly folds Trifecta to adjust haul cargo. ‘SpeedKlamps’ is a key technology of Extang in which clamps are made of fiberglass filled nylon for the ultimate strength and robustness. The fabric of Trifecta is a heavy duty commercial grade vinyl with leather grain for awesome looks to your truck. Trifecta has the reputation of providing the strongest frame of a soft folding cover in the industry. What’s more, the frame is sealed with OEM style foam seals like the ones found in general door jamb of a truck which ensures every opening and closing of cover provides the perfect seal on the truck bed. Premium Trifecta from Extang provides maximum strength warranty with lifetime coverage to its customers. Although no problems are reported with this fine product, sometimes corners of the cover wrinkle up after some time. 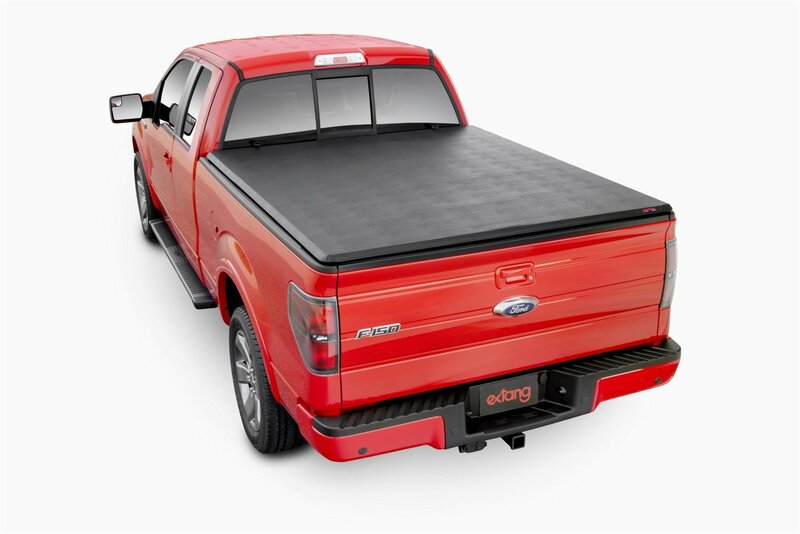 With incredibly easy installation and so many features clubbed into one product, Extang is one of the Best rated Tonneau Covers available in the market. A value-added product for your truck. Pack your rig to the brim and rest assured that all your gears stay under wraps with these front runner pickup veils. With some of the best Tonneau covers listed here, we hope it has become a lot easier for you to choose one.You can go with Max Mate that has the marine-grade vinyl cover know for its durability or go with Tonno’s all-weather protection seal. Choose the most efficient Tonneau cover that fits your pick up as well as upgrades its looks. With huge fuel savings, these covers are extremely light in your pocket and let you drive in style.